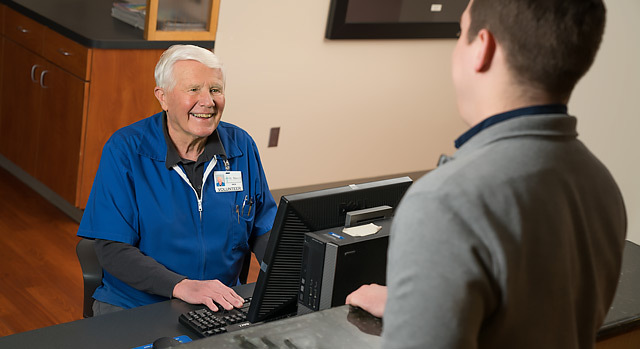 The Volunteer Program at St. Mary's Regional Medical Center welcomes people of all ages and backgrounds, including retirees, professionals, homemakers and students as well as men and women who live in surrounding communities. Volunteers are very special people who have one common purpose—they want to help others and make a difference. Volunteers play a vital role at St. Mary's Regional Medical Center. 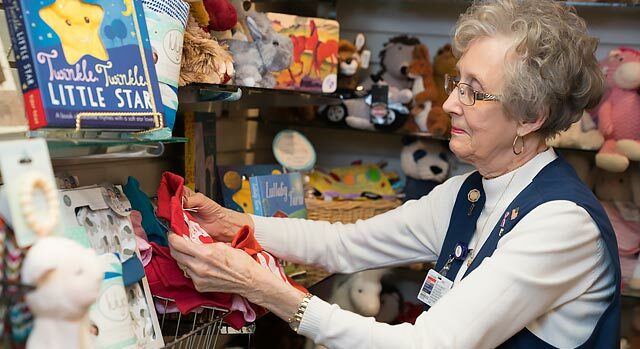 They are an important part of the hospital “family,” donating their time and talents and working closely with the staff to make a hospital stay more comfortable for patients and their families. You don’t need special skills or training to become a volunteer. Every volunteer brings his or her individual interests, talents and experience to the volunteer program, and each plays a unique and important role. Each prospective volunteer is interviewed and the staff determines where your interests and skills best match the needs of the hospital. Once you have chosen your service area in the hospital, you will receive a thorough orientation and on-the-job training. Volunteers are assigned to work one three- or four-hour shift per week, and many of the dedicated volunteers work more frequently. Our volunteers help in our waiting areas, at registration, in the Gift Shop and driving our "SaintMobile" shuttle bus from the parking lot to the hospital. In addition to helping others and meeting new friends, as a volunteer you will enjoy the chance to learn new skills and develop new interests. In appreciation for your time and efforts, volunteers are invited to an annual recognition banquet, they participate in hospital social activities, they receive service pins and they receive a complimentary meal in the hospital cafeteria for each three- or four-hour shift worked. Fill out our online volunteer application to apply for a position. To learn more about becoming a volunteer, please contact Kelsey Keyworth, Volunteer Services Manager, at kelsey.keyworth@uhsinc.com.